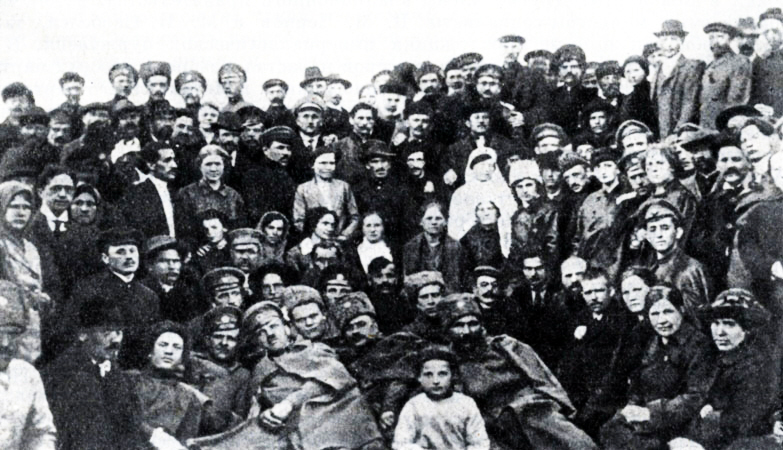 The topic of workers’, soldiers’ and peasants’ councils, or soviets as they were known in Russia, is often neglected in mainstream accounts of the revolution. So is the existence of an international revolutionary wave which, while unsuccessful, left its mark all over the globe. Looking at the events of 1917-1927 from the point of view of workers’ councils – which at their best represented an attempt by workers to take control over their daily lives and transform society – can reveal more about the forms that class struggle took, and the international characteristic of the movement. Colours of the icons signify the date of the formation of the workers' council. • All dates are New Style. • Zoom in and click on an individual workers' council to find out more, and see the source for the data. • May take a moment to load. The map was put together thanks to the collective effort of some 10-20 people who took part in online discussions and provided data on the councils. The project was started in a closed Facebook group in February 2016 but despite the group growing to over 100 members, activity has sharply dwindled down over the months. By releasing the map to a public audience now (on the centenary of the Russian Revolution), we hope we can spark some new discussions and maybe receive new submissions with data on councils still missing from the map. -	Data is only as accurate as the sources we found. For every council we tried to provide at least one legitimate source. However, not every council on the map was a revolutionary council, or even a genuine workers’ council. Some, like the councils in the UK or the US, were often failed attempts at kick-starting a council movement which never held much economic or political power. Others, like some of the councils in Germany, Poland or Norway, were dominated by reformist political currents, which prevented the councils from challenging the state. -	This map will never be quite complete. Much information regarding workers’ councils is lost or was never recorded in the first place (be it location, size or political and social composition). The lack of councils in a given country however does not mean there were no significant workers’ movements there – other forms of class struggle were also widespread, such as factory committees, mass strikes, radical parties and unions, protests or insurrections, and these are not recorded on the map. Finally, here are a number of quotes just to illustrate the importance of workers’ councils in the thinking of some of the most well-known figures of the revolutionary movement of those years. Any feedback, new data submissions or better sources are welcome! These can all be added to the current version to make the map more complete, so please post them in the comments below. Interesting stuff, keep up the good work! And some photos of soviets in Russia collected here. which i have marked as my "favo(u)rite page on libcom"
Don't know if it counts but the Gilan Republic/Persian Socialist Soviet Republic might be a good addition? @Noa: I will have a look at the book. Does it by any chance contain a list of the soviets, even if only the most well-known ones? And yes, those are some nice pictures on the ICC forum. @petey: That thread was actually very helpful for finding out information about the US councils. Hopefully we've not missed any. @Ed: The Gilan Republic was mentioned during the discussions, but if I remember right we didn't find evidence of the existence of workers' councils (one would assume they existed since it was called a soviet republic after all, but again if I remember right, the Halliday article doesn't really go into how exactly it was organised). No list, but in the book it goes over a whole lot of names (like I said onward from here, and for peasants' soviets here). State power was based on the “seims of workers’ organisations’, which were elected by the organised workers. Just had a closer look at the sections you linked, and that's exactly the kind of source I need! Expect some Russian soviets in the next map update. UPDATE: about 150 soviets from the former Russian Empire have now been added to the map. There continued to be created soviets in more places into 1918.
yes, this is first class stuff. i live in NYC and to the best of my imperfect knowledge there were no councils around here. In the hunger years of 1917-1919, bread riots and local revolts broke out over Sweden. In the industrial city of Västervik a mass meeting led by the secretary of the local federation of the anarcho-syndicalist SAC, FJ Gustafsson, a worker at the grinding mill, adopted a resolution to be telegraphed to the rest of the city advocating price controls, tax reductions for workers and other demands, ending in the threat of violent revolt if these demands are not met. (Reforms were quickly won in the city). In modern times the website of the city describes the hunger riots and rebellions that resulted in councils being formed thusly, "In 1917 workers' councils (1917-1918) were formed in the city, taking almost total control over the city". UPDATE: more soviets from the former Russian Empire added, plus the Republic of Als, the Monaghan Asylum Soviet and the Västervik Workers' Council. Keep the suggestions coming as the map will be updated (though I'll only leave a comment here about an update when a significant number of councils gets added). Reports from the prefects of the kingdom flowed into the Viminale (Ministry of the Interior) in massive unanimity. A rapid geographical survey gives the measure of the movement. In Piedmont not only Turin, Alessandria, Asti, Novara and Vercelli, but Acqui, Arquata Scrivia, Novi Ligure, Casale, Tortona, Gallarate. In Liguria, not only the whole Genoa district, Savona, Vado, La Spezia, but Porto Maurizio and Oneglia. In Lombardy, from the industrial complex of Milan to Bergamo, from Cremona to Crema, from Pavia to Legnano, from Como to Lecco, Varese to Brescia. In Veneto, Verona, Udine, Padua, Venice, Treviso, Castelfranco Veneto, Battaglia. In Emilia, Bologna, Modena, Ferrara, Reggio, Piacenza. In Tuscany, Florence, Pisa, Siena, Pontedera, Piombino, Portoferraio, Livorno, Arezzo, Pistoia, Grosseto, San Giovanni Valdarno, Castelfiorentino, Luca. In the Marches, the naval dockyard of Ancona. In Umbria, Terni and Perugia. In Campania, Naples, San Giovanni a Teduccio, Castallammare, Torre Annuziata; in Sicily, Palermo. As for the density and consistency of the movement, the basic structural factor is obvious. Only in Turin, Milan and Genoa did the occupation assume a character so massive as to constitute a major historical event: in those cities hundreds of thousands were in occupation. Sorry if there's any spelling mistakes of Italian regions/areas/towns, I typed it out referring to my hardcopy of the book. The movement itself wasn't universal in character and in some of those areas it could be construed just as a strike tactic of the workers as opposed to any revolutionary move to seize the means of production. @GiantMonkeyMan: since Turin was already on the map, I've now added Milan and Genoa too. The Spriano book is actually on libcom, so I'll have a browse and see if there's any indication as to what degree all these factory occupations and committees could be considered proto-soviets. This project is getting huge. I want to congratulate you about the idea. Another new map could be done for the big strikes another huge work to be done. In the end my conclusion is that anarchism, anarchosyndicalism or revolutionary syndicalism are part of a bigger movement. Another question, what's about Russian "third" revolution (Gulay Pole, Krondstadt, Tambov, Siberia, etc. - check Nick Heath's articles)? Yes, maps like this could certainly be made for other historical periods. I'm currently working on one for the workers' councils in the 1905 revolution since I've already got most of the data (will be up on libcom eventually). It would be interesting to see ones for the 1930s communes, or the 1944-48 workers' councils. But I expect reliable data regarding the locations of some of these might be hard to track down. On the workers' councils vs. communes question, there's some overlap. But a workers' council denotes both a certain model of organisation and its class content, whereas commune is often used more loosely (the Partisan Republics you group under this label for example were led by the National Liberation Committee, a cross class alliance, these were not a form of workers' power like the soviets, but building blocks for the post-war democratic state). The Kronstadt Soviet is already on the map, but I'll add the 1921 Conference of Delegates as a separate point. If there's data on workers' councils in the Free Territory, I'll add them as well. 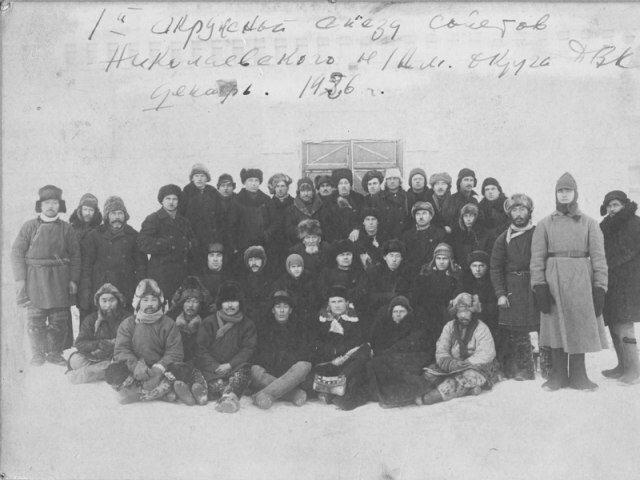 But rebellions like the one in Tambov were primarily peasant uprisings, even more so than Makhno's army. Unlike the peasants' councils which were allied with the workers' councils, these rebellions don't really fit here conceptually - the Tambov rebels for example opposed Soviet power and wanted to reconvene the Constituent Assembly instead. Actually one thing we're hoping to have when we finally do the site upgrade is to have an interactive map for exactly this so that you can search, say, 'general strikes' and all the articles we have in the general strikes tag show up on the map. Hopefully we can get it done asap! Here’s the interactive map of the 1905 revolution. So in the redesign we want to highlight the map feature much better, and also add basically everything in working class history which has ever happened to the map. Which can then be browsed by category, or we want people to be able to look at the map on their mobile device to be able to see things which occurred near them, or to do self-guided walking tours etc. As you can see from our general map (http://libcom.org/library/map) it has huge amounts of information on it, but we want lots more like the kind of thing people have mentioned here, so especially when the redesign is more sorted we would love to have help from users putting stuff in.